We are delighted to announce that we have joined the world of social following the launch of our new Facebook and Twitter pages! Our two new social accounts will be the go-to source for all things kitchen and bathroom, as we will be posting about the latest design trends, maintenance tips and kitchen hacks. Connecting with consumers, retailers and installers is really important to us, and social media is the perfect medium for establishing this relationship. With our new social presence we will be able to provide our consumers with even more value, and gain a deeper understanding of their needs at the same time. Since our 2014 launch, we have partnered with many retailers across the UK and has seen our surfaces installed in a wide variety of locations including a 5* hotel and university accommodation. We urge anybody interested in receiving regular updates on everything from Maxtop’s latest news to helpful kitchen tricks and design trends to follow our new pages. 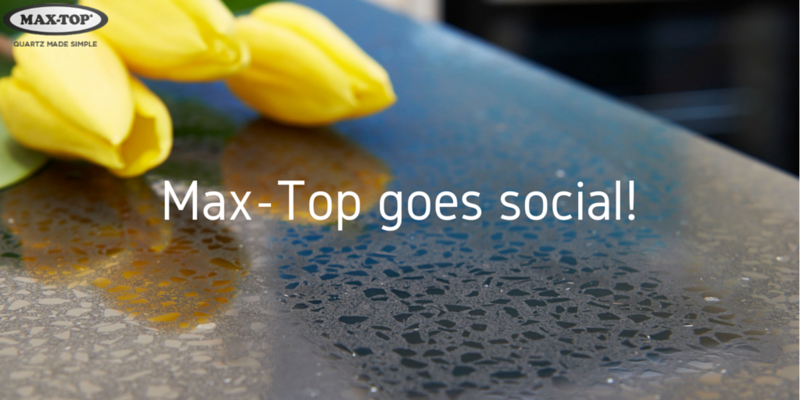 For more information about Maxtop please visit www.maxtopquartz.co.uk or the company’s new Facebook and Twitter pages. Alternatively, call 0161 224 0333 or visit the Maxtop YouTube page to watch a short installation video.